Overcast. A stray shower or thunderstorm is possible. High 67F. Winds ENE at 10 to 15 mph.. Scattered thunderstorms this evening becoming more widespread overnight. Low near 45F. Winds NE at 10 to 15 mph. Chance of rain 90%. 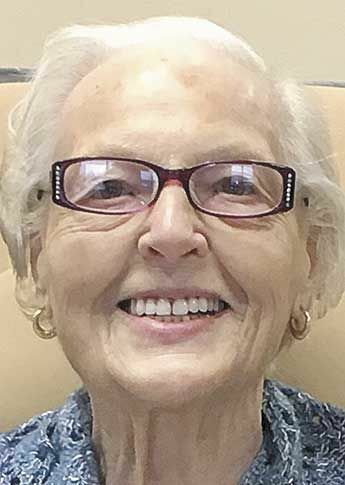 Paula Gertrude Hermine Brown of East Farmington died at her home surrounded by family, on Nov. 29, 2018. She was 90. Paula was born in Frankfurt, Germany, on Aug. 28, 1928. Paula was married to Calvin W. Brown, and spent 20 years of her life as an Air Force wife, moving frequently all over the US, and to Germany and Turkey. Teaching German was one of Paula’s passions and she touched many lives as an instructor employed by the Cooperative Education Service Agency, Wisconsin Department of Public Instruction. She translated German documents and taught German courses for Community Ed. Gardening, bird watching, the love of animals, the thrill of finding the best bargains and making deals, were some of Paula’s joys. She thoroughly enjoyed talking to and visiting with people and this served her well in her Tupperware business which she managed for many years. Paula was preceded in death by her parents, and one great-grandchild, McKaylynn Janice. Paula is survived by her five daughters, Sue Brown, partner Jerry Brown of Bakersfield, Vt.; Jean Brown of New Richmond; Paula Brown of Independence, Mo. ; Vera Brown of Mound, Minn.; and Jenny Balow and her spouse, Thomas of New Richmond; 11 grandchildren, 11 great-grandchildren, and her beloved cat, Bearle. A Celebration of Life was held at the Grandstrand Funeral Home in Osceola on Dec. 4 with interment at Oakland Cemetery in New Richmond to follow in the Spring. In lieu of flowers donations may be made to the Osceola Historical Society, PO Box 342, Osceola WI 54020, where she was a long time member.